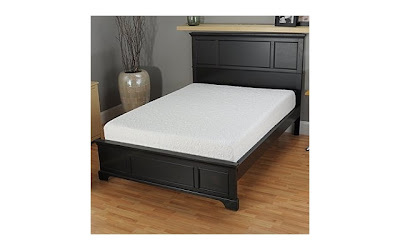 Since my husband and I had decided to retire our eleven year old queen mattress set, we have been considering switching from a coil mattress to a memory foam mattress. Our queen-size mattress was a 20-inch pillowtop, so I really am hoping to find the same comfort level in our next mattress, whether it be coil or foam. At one time, I sold furniture and bedding, so I have a good idea about which brands I should be checking out first. While I was shopping for Serta mattresses, I came across something that caught my attention . . . the line of Serta iComfort Gel-Infused Memory Foam Mattresses. Over the past few years, I have begun to associate "gel" with comfort based on my experience with various products. For example, one of the most comfortable pillows I have ever owned had pockets of gel built into it under the surface. A gel-infused memory foam mattress on a platform bed, might be the way to go for us. I have always wanted a platform bed because of the added storage space underneath, but just having to buy the mattress without a foundation makes going the memory foam route much more affordable for us. For example, this Serta iComfort "Insight" Gel-infused Memory Foam Mattress in queen size sells for $1300. You can find these and much more all online, at retailers like ShopNBC. What has your experience been with memory foam mattresses, with or without gel? This is a partnered Featured Products post.